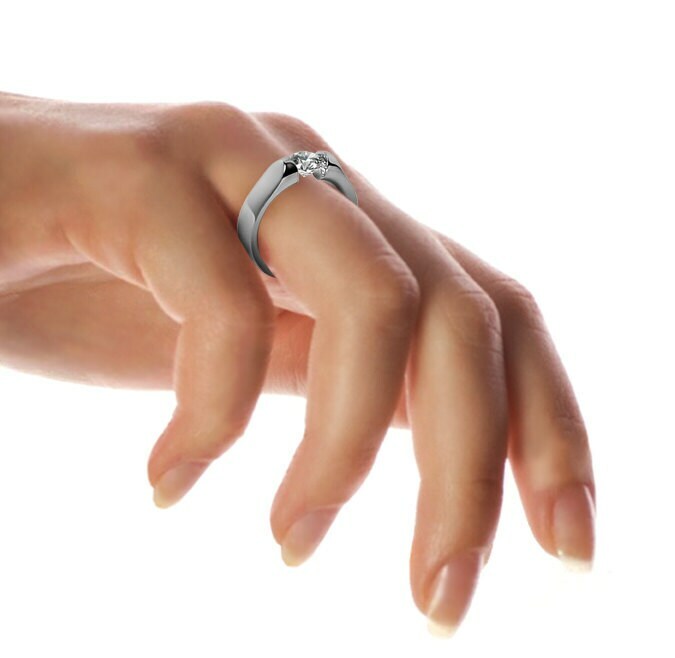 Polished finish Stainless Steel Ring, with Tension Set round White Sapphire. 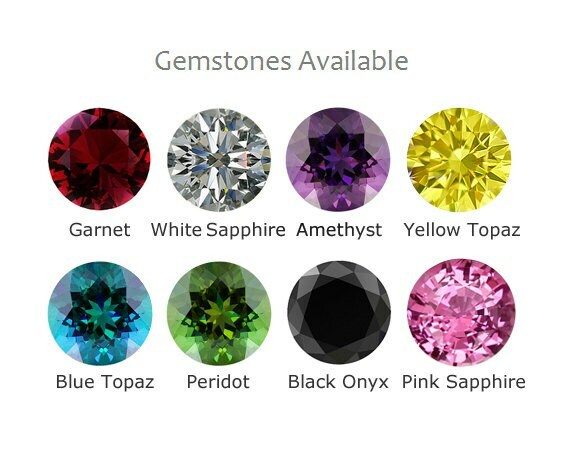 Also available upon request with: Amethyst, Pink Sapphire, Black Onyx, Yellow Topaz, Garnet, Blue Topaz and Peridot. 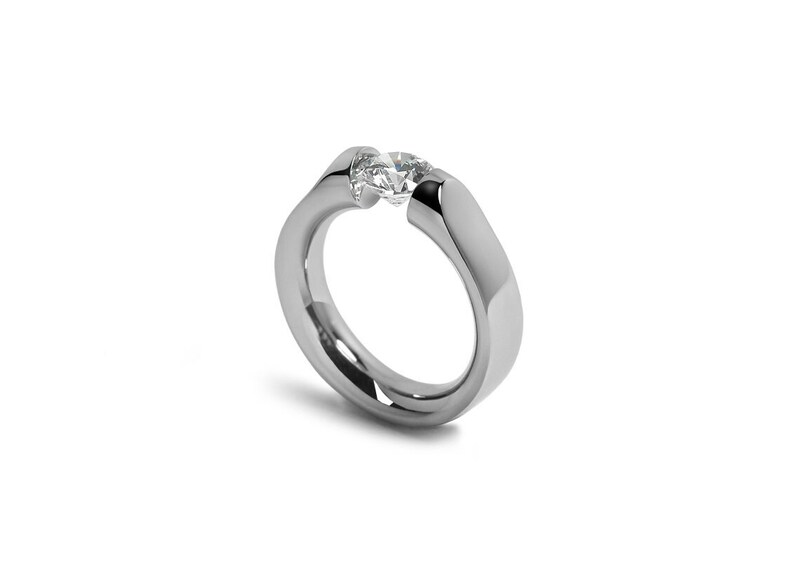 Ideal for Engagement ring. 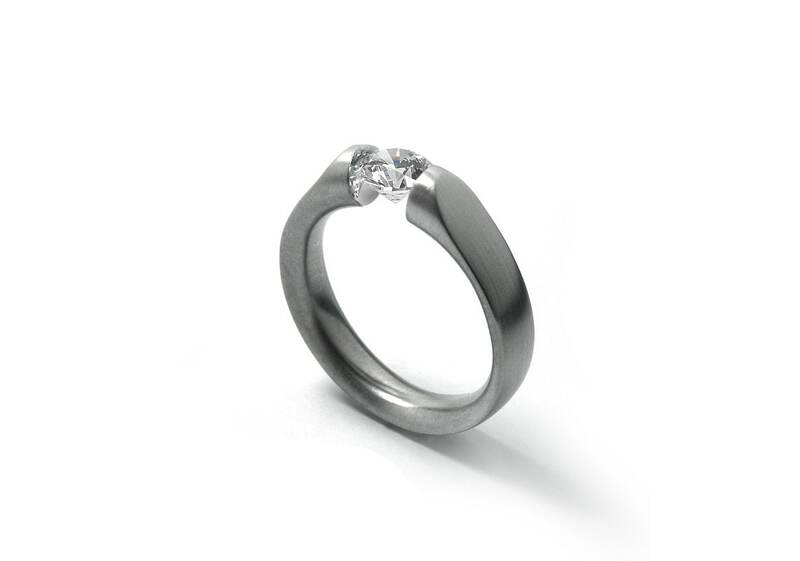 Measurements: Ring shank is 3mm thick - 5mm width (comfort Fit). 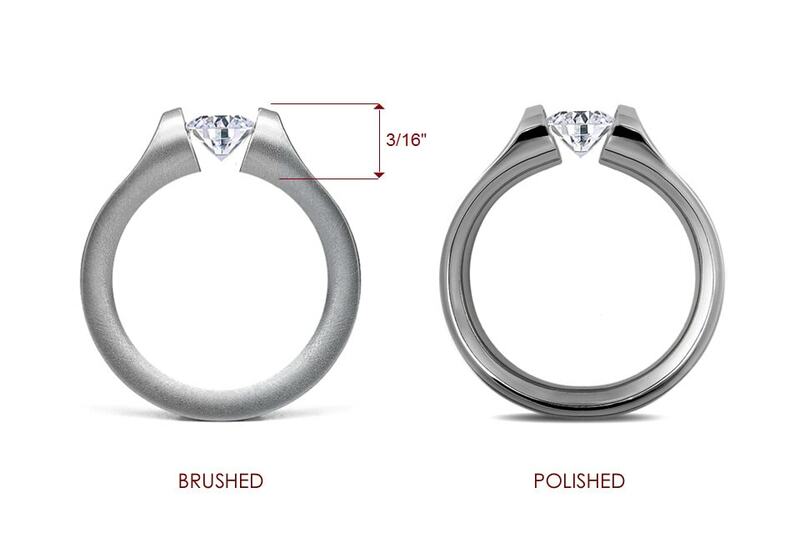 This Ring is MADE TO ORDER, Please indicate RING SIZE in the "Message to Seller" during checkout.- Will ship in 7 to 10 Business days with Free USPS Priority mail.